Free standing or wall safes? 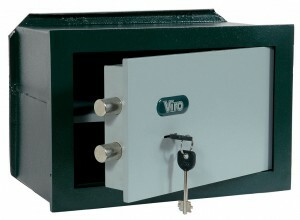 A securely built-in wall safe is safer than a free standing safe, as it is more difficult to remove or attack the safe. Unfortunately, however, it is not always possible to build in a safe. In such a case, you can choose a free standing safe model, provided it meets certain requirements. A wall safe, which can be recognised by the fins at the rear. Apart from those cases where you cannot or do not want to carry out building works, for example because the premises are rented, the main factor that affects the possibility of building in a safe is the thickness of the wall. Wall safes are typically 20 cm deep and, to be built in properly, they require walls with a thickness of at least 30 cm. For thinner walls there are a few models with a reduced depth of 15 cm, but they still need a wall thickness of at least 20 cm. The type of masonry is also important, that is, the mortar used must be of good quality, made using cement type CEM II/A-LL 42.5 R (UNI EN 197-1) mixed with sand at 400 kg/m3. Of course, a reinforced concrete wall is preferable to perforated bricks, and a plasterboard wall must be strictly avoided. 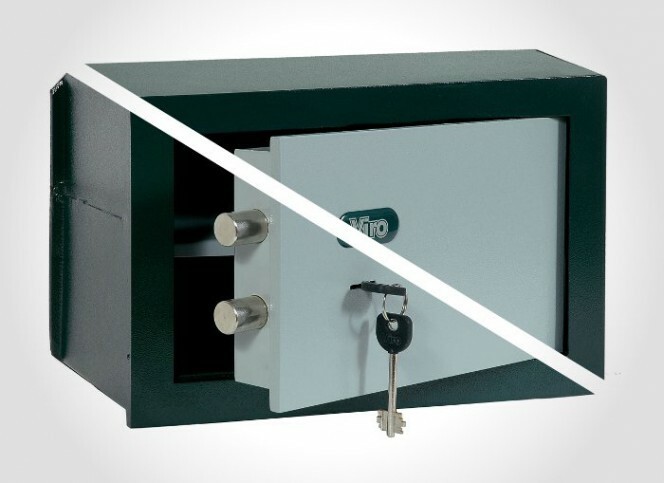 The need to build the safes in limits the maximum depth of wall safes, so when you need particularly large models you should opt for free standing safes. 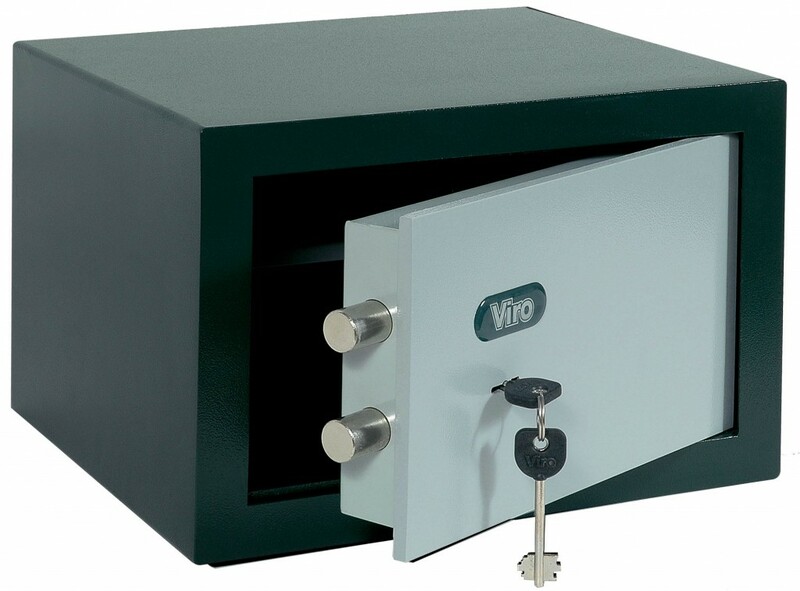 To resist any attack, free standing safes must have a case with a greater degree of reinforcement than wall safes (Viro safes are made of steel plates with a thickness of 3 mm instead of 2 mm) and they must have mounting holes on both the rear and the base to enable fixing on both sides. A free standing safe, which can be recognised by the high quality finish of the case and the absence of fins on the rear. In the case of very thick walls (40 cm and above) you can get maximum security by building in a free standing safe, after fixing anchor brackets to the rear. 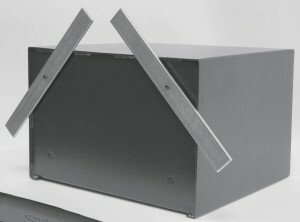 A free standing safe with brackets fixed to the rear so that it can be built in. In any case, whether it is a free standing or wall safe, the installation of the safe can be made more secure by following some simple steps, as seen in a previous blog. This entry was posted in Safes and tagged tips on 5 September 2013 by Mara Rossi. Having a safe in your home to ensure that intruders won’t get to your valuables is majorly important. I think personally that regardless if they are freestanding or installed in your wall the benefits outweigh any doubts. It is also important to consider what you mentioned that larger safes should be freestanding. Thanks for the informative post!